If all goes well, you should now be booting into DSL from your Damn Small Linux Flash Drive. 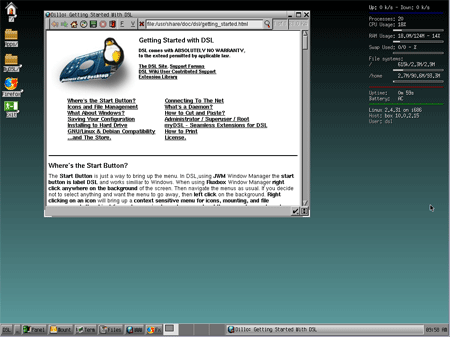 Notes: It is also possible to "Run Damn Small Linux in Windows using Qemu emulation" without the need to reboot the PC. For other options, see the readme file that was written by the author of DSL.